At the start of a brand new year, we're excited to present you with our latest release of Harmony PSA. As always, we have included a range of changes from general bug fixes to new feature implementations and functional improvements. The major changes are explained in this article while you will be able to read through the general bug fixes here. 1) Check your quotes, orders and invoices (which haven't already been printed/approved) in your sandbox system. 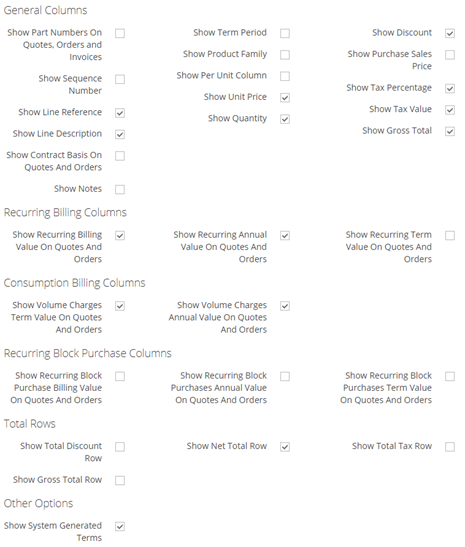 We have made it possible to select which columns are displayed on quotes/orders and invoices, and how the totals work (see below for more details). After we upgrade your sandbox, you need to take a look and check (using the 'View' tab) that these documents still look as you expect. If not, you may have to adjust the global column settings (see below) and possibly alter the document templates if you have customised them heavily. 2) If you have more than one legal entity, make sure everyone has access to the legal entities they are supposed to. From version 4.18 on we are strictly controlling access by internal legal entity including tickets, where attached to contracts; and assets, where attached to contracts. 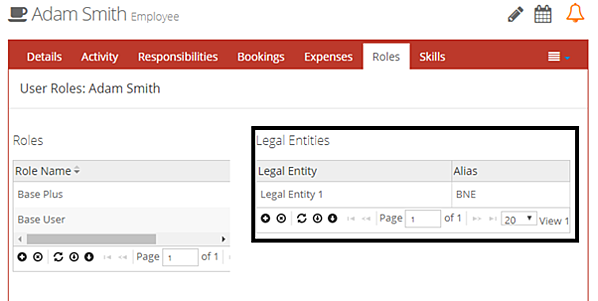 You need to make sure if you have multiple legal entities that your staff have access to the legal entities they need to have access to (using Resources > Staff Members > Roles). 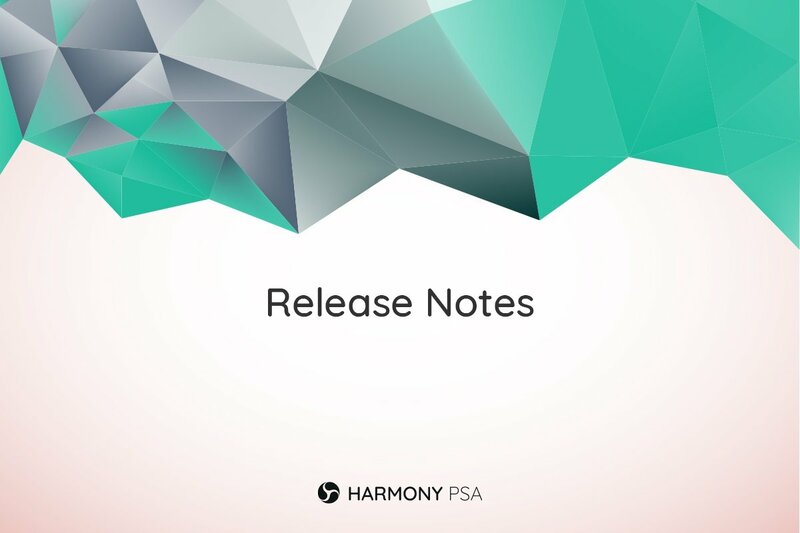 We would like to kick-start the release notes for Harmony PSA v4.18 with a brand new feature we have added to this release. 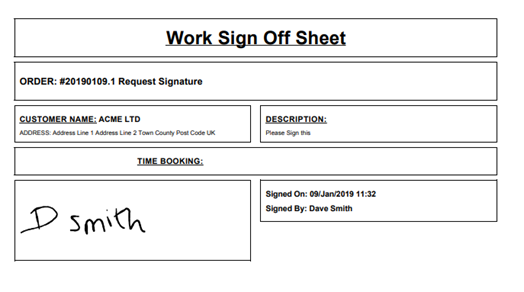 Now, you will be able to create ticket types which allow users to add signatures to tickets which then allows the capture of ‘Name of Signatory’ and uses document templates (read more below) to capture the work order. Once the ticket is signed, a PDF will be generated with all the data mentioned above and this will be available to download from the ticket details page, under the ‘Signature’ section. You will be required to configure a new ticket type or an existing ticket to allow the sign-offs. This can be done using the ticket types page in Operation > Tickets > Types. In ticket types, we have added a new flag to enable sign off. Once enabled, you will be able to access the ‘Sign Ticket’ option under ticket actions. When you sign the ticket, Harmony will automatically generate a PDF with the pre-configured template and the signature. This template can be customised to include information about an order or change request sheets etc. You will read more about that in our next point. For more information about Ticket sign off, click here. Harmony v4.18 has introduced the ability to add Custom Document Templates and to print them using the newly added 'Print' button. As mentioned in the Ticket Signature section, you now have the option to create new document templates and customise them accordingly. This can be done within Finance > Set up > Document Templates page. Here, you will be able to create new document templates or edit existing document templates. 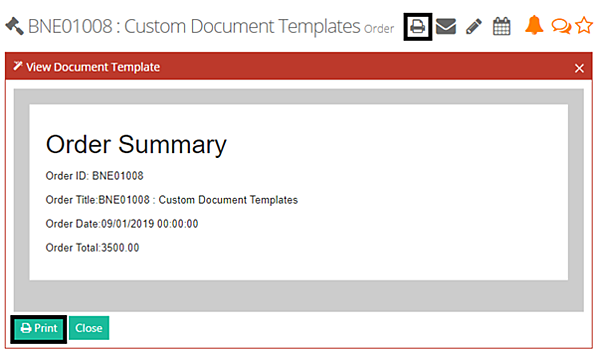 To create a new custom template, simply select ‘Add New’ and enter the information required. These document templates are HTML friendly and a list of compatible dynamic tags can be seen on the ‘Dynamic Tag’ drop-down list. The feature will also provide you with the option to make the template available for printing using an object toolbar icon as shown below. Find out more about this latest feature here. We have applied new restrictions surrounding legal entity permissions. From Harmony v4.18, staff members will only be able to access Orders, Quotes and Contracts that belong to brands under their assigned legal entities. Therefore, staff members will no longer be able to access or search for objects that refer to other legal entities. This can be specified under each staff member in Resources > Employees > Roles. Each staff member in Harmony PSA can be assigned with one or more legal entity. Usually, a default legal entity needs to be selected upon creation of staff members. However, you will be able to add more through the Roles page. Expenses in Harmony now come with a brand-new feature with version 4.18 which allows the users to upload expenses using a CSV file. This feature can be accessed when you are entering new expenses through Finance > Tasks > My Expenses > Enter Expense. This page will now allow you to select the ‘Upload Expenses / Credit Card Statements’ option. The main use case of this feature is when uploading credit card statements. These expense lines will be automatically matched with existing unsubmitted expense lines in Harmony. Once you select the credit card and successfully load the CSV file, Harmony will automatically calculate the tax value according to the tax groups selected for the expense categories and show the matched and new expenses using the + and – icons next to the lines. IF any unmatched lines still exist, they will also be displayed under ‘Unmatched Existing Unsubmitted Expenses’. A detailed guide to expense uploads and matching can be found here. 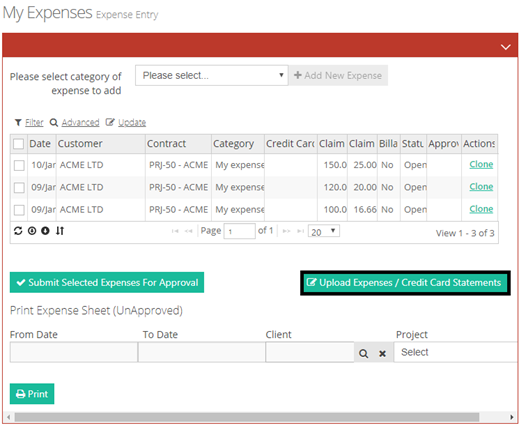 Additionally, to complement the new expense upload features described above, we have added expense backing sheet functionality to Harmony v4.18. The functionality of expense backing sheets is similar to the time backing sheets feature in Harmony PSA. Now your customers have the option to get a breakdown of all expenses with a printout or a PDF view of the expenses billed on the invoice. The option to print the expense backing sheet separately will be available within the invoice details page. This can be enabled through the customer details page in Resources > Customer > Select Customer > Expense Backing Sheet > Yes. 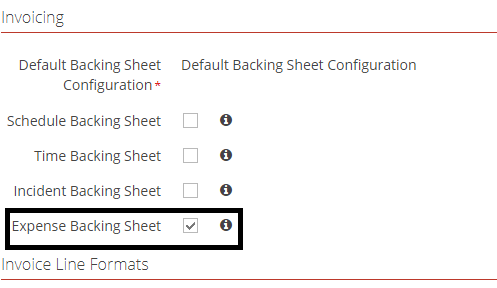 The option to enable the global setting for the backing sheet feature can be found in Finance > Setup > Control > Presentation > Expense Backing Sheet. This flag will enable the invoice to be printed with the backing sheet in the same PDF document. You can find more information here. We have improved the way the quote, order, invoice columns are controlled in the ‘VIew’ tab. 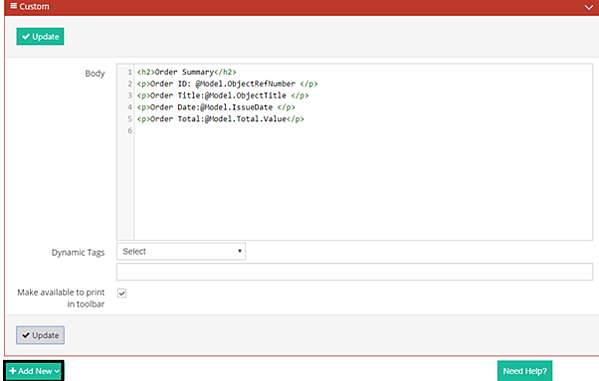 The latest release of Harmony allows you to easily manage which columns should appear and which are to be excluded. This is done using a global setting within the legal entity settings and can be found in Finance > System > Legal Entities > Select legal entity > Presentation. You can tick the columns you would like to be visible in the ‘View’ tab and all the new quotes, orders and invoices will be generated accordingly. Finally, the latest release introduces the ability to CC invoices to a separate email address. This is useful if the invoices for a certain customer need to be sent to an email associated with a finance department or another dedicated contact. This will also prevent the invoices being lost in the mix of other important emails which may cause delays in payments. 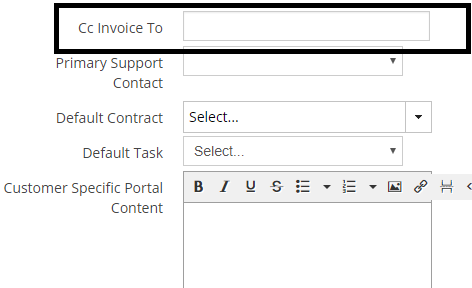 This feature allows you to allocate a separate email to receive the invoices. This can be set within each customer's details page in Resources > Customers > Select Customer > CC Invoice To. As always if you have any questions or issues please get in touch.